The recent decision by Occidental Petroleum to move its headquarters to Houston from Los Angeles, where it was founded over a half-century ago, confirms the futility and delusion embodied in California's ultragreen energy policies. By embracing solar and wind as preferred sources of generating power, the state promotes an ever-widening gap between its declining middle- and working-class populations and a smaller, self-satisfied group of environmental campaigners and their corporate backers. Talk to people who work in the fossil-fuel industry, and they tell you they feel ostracized and even hated; to be an oil firm in California is like being a pork producer in an ultra-Orthodox section of Jerusalem. One top industry executive told me that many of his colleagues in California cringe at the prospect of being attacked by politicians and activists as something akin to war criminals. “I wouldn't subject my kids to that environment,” the Gulf Coast-based oilman suggested. What matters here is not the hurt feelings of energy executives, but a massive lost opportunity to create loads of desperately needed jobs, particularly for blue-collar workers. The nation may be undergoing a massive “energy revolution,” based largely on new supplies of oil and, particularly, cleaner natural gas, but California so far has decided not to play. In all but forcing out fossil-fuel firms, California is shedding one of its historic core industries. Not long ago, California was home to a host of top 10 energy firms – ARCO, Getty Oil, Union Oil, Oxy and Chevron; in 1970, oil firms constituted the five largest industrial companies in the state. Now, only Chevron, which has been reducing its headcount in Northern California and is clearly shifting its emphasis to Texas, will remain. These are losses that California can not easily absorb. Despite all the hype about the ill-defined “green jobs” sector, the real growth engine remains fossil fuels, which have added a half-million jobs in the past five years. If you don't believe it, just take a trip to Houston, where Occidental is moving. Houston now has more new office construction, some 9 million square feet, than any region in the country outside New York; Los Angeles barely has 1 million. Indeed, most of the office markets that have performed best in reducing vacancies since 2009 – Pittsburgh, Denver, Houston and Dallas – are all, to some degree, driven by energy. Everywhere you drive in Houston, now leading the nation in corporate expansions, one sees new office buildings. Last time I checked, I didn't see much in the way of a Solyndra, Fisker or other green-business headquarters being constructed anywhere in our Golden State. Energy is driving Houston's surge of some 50 new office buildings, led by ExxonMobil's campus, the second-largest office complex under construction in the U.S. (after New York's Freedom Tower). Chevron, once Standard Oil of California, has announced plans to construct a second tower for its downtown Houston campus, yet another signal of how that company is shifting emphasis from its roots in the Golden State to the Lone Star State. Relocating employees will have many people with whom to reminisce about old times; both Fluor and Calpine, major energy-related firms, have already made the Texas two-step. California clearly is squandering an opportunity to restart a large part of its economy. Texas energy has created some 200,000 new jobs over the past decade, while California has barely mustered 20,000. These energy jobs pay well, roughly $20,000 a year more than those in the information sector, according to EMSI. In 2011, this sector accounted for nearly 10 percent of all new jobs created in the nation. This has transformed much of the vast energy zone, from the Gulf to North Dakota. Houston, despite strong in-migration, now boasts an unemployment rate of 5.5 percent, almost four points below the jobless rate in Los Angeles. What about “green jobs”? Overall, California leads in green jobs, simply by dint of size; but on a per-capita basis, notes a recent Brookings study, California is about average. In wind energy, in fact, California is not even in first place; that honor goes to, of all places, Texas, which boasts twice California's level of production. Ironically, one reason for this mediocre performance lies in environmental regulationsthat make California a tough place even for renewables. Even the New York Times has described Gov. Jerry Brown's promise about creating a half-million new jobs as something of a “pipe dream.” Even though surviving solar firms are busy, in part to meet the state's strict renewable mandates, solar firms acknowledge that they won't be doing much of the manufacturing here, anyway. The would-be visionaries who manage the state are selling Californians a lot of pixie dust. Barely 700,000 Americans work in green energy, including building retrofits, compared with 9 million in fossil fuels. Nationwide employment in solar and wind, meanwhile, is well under 200,000. Overall, officials with fossil-fuel-related companies predict 1.4 million jobs in the sector by 2030. This predicament can't be blamed on California running out of oil and gas; some estimates of the state's oil and gas reserves as considerably larger than those of Texas. The Monterey Shale, located under the state's economically struggling midsection, holds, according to federal Energy Department estimates, almost two-thirds of the nation's total supply of shale oil. Tapping this source, notes a recent USC study, could bring as many as 500,000 new jobs to the state over the balance of this decade. Despite a bounty of fossil fuels, including along the coast, California's oil production has continued to drop, and now ranks third among the states, behind No. 1 Texas, which has doubled its oil output in less than three years, and once-insignificant North Dakota. Californians have made a decision, based on green theology, that we don't want to produce much of the stuff. Ordinary Californians bear the brunt of these policies, paying almost 40 percent above the national average for electricity. Rather than produce energy here, we appear set to import much of the oil and gas that, according to the state, still feeds well over 90 percent of California's energy consumption. Particularly hard-hit has been California's once-vibrant manufacturing sector, which has not mounted anything like the recovery being experienced in other parts of the country. From 2010-13, the country added 510,000 jobs, while California produced fewer than 8,000. Electricity prices are particularly uncompetitive, roughly twice as high in California, as those in prime competitors such Texas, Nevada, Arizona – as well as the hydro-powered Pacific Northwest. This has – discouraged manufacturers, such as Intel, from locating or expanding in the state. No surprise, then, that, just last week, it was revealed that the Lone Star State had also surpassed California in exports of high-tech goods. Despite these conditions, it's hard to imagine a reversal of our current energy costs. The grip of green interests and their corporate allies in places like Silicon Valley suggests Californians will continue to endure ever-higher energy prices, lagging construction and manufacturing as a regular feature of the economy. This may make the green clerisy in the state happy, but is likely to have the opposite effect on the rest of us and on our economy as it becomes ever more narrowly based and fragile. 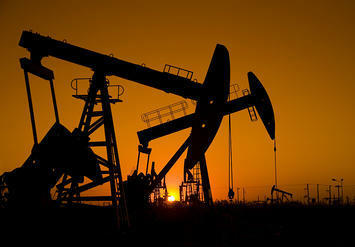 Oil well photo by BigStockPhoto.com. Submitted by TD on Tue, 03/04/2014 - 12:40. San Jose is at the south end of the San Francisco Bay, not at all within the Central valley. That minor point cleared up, it is true that California seems hell bent on driving out the working class save to the extent that it will tolerate a few tradesmen for remodels, some waiters and waitresses and hairdressers. There is a logic. If the East Bay and Central Valley can be emptied out it will make for faster drives to and from Tahoe. Submitted by Richard Rider - Chairman - San Dieg... on Tue, 03/04/2014 - 13:34. And fewer people complaining about higher taxes!